What is a chapter 7 means test? Your eligibility to file a chapter 7 bankruptcy case in Florida depends on your income. If your income is higher than the median income for your household size in Florida – you initially do not qualify for a chapter 7. But the means test may provide an exception. The means test looks at your income after certain allowed expenses are deducted. Some people qualify for a chapter 7 after applying the means test. There is a common misconception that few people qualify for Chapter 7 Bankruptcy since the bankruptcy reforms imposed by the Bankruptcy Abuse Prevention & Consumer Protection Act of 2005. While the legislation did create a financial means test that limits the eligibility of some who would previously have qualified for a Chapter 7 discharge, there is no truth to the premise that people need to be close to the poverty level to qualify for Chapter 7. Many people with six figure incomes can satisfy the means test and obtain Chapter 7 bankruptcy relief. The means test is a two-part evaluation that does not analyze a debtor’s income in isolation but considers income in relation to one’s secured and unsecured debt obligations. The first part of the evaluation involves comparing the income of the debtor to the median income in Florida. If the debtor’s income is lower than the state median income, the debtor qualifies for Chapter 7 Bankruptcy without further evaluation. The median income is based on the size of the family. This threshold for Florida as of April 1, 2016 ranged from approximately $44,000 for a family of one to $84,000 for a family of six. If you are filing bankruptcy in another state, the median state income in that state will be used for this stage of the evaluation. This evaluation includes consideration of gross income (i.e. pre-tax income) for all members of a household regardless of who is filing bankruptcy. The debtor’s median income is determined by adding the gross income for the six months prior to filing, doubling the amount and dividing by twelve. If there is a significant amount of disposable income left over after deducting these amounts, you will be required to file Chapter 13. Debtors that do not have enough income remaining after these amounts have been deducted qualify for Chapter 7 under the means test. If you do not qualify under the means test, you will be forced to file Chapter 13, which is less advantageous because you will not simply be relieved of your obligation to pay most unsecured debts like medical bills, credit cards, loans without security interests and other forms of non-priority unsecured obligations. The attorneys at Ayo and Iken strongly recommend Chapter 7 cases because they are incredibly more beneficial to our clients. Debtors who do not qualify for Chapter 7 under the means test must make monthly payments toward a payment plan over a 3 or 5 year period. Their discharge will be received only if they successfully complete their payment plan so they will have to wait years for their discharge. Those forced into Chapter 13 also will be obligated to repay some or all of the debtor’s unsecured debts. Our experienced Florida bankruptcy attorneys offer a free consultation so we can evaluate your situation and advise you about your eligibility under the Chapter 7 means test. 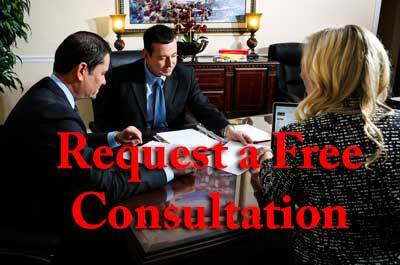 Call us today at Ayo and Iken to schedule your confidential free consultation at 1-800-469-3486 or email us. Jeana came to my family and I at a very rough time in our life. She was more then a lawyer. She was a support system, a shoulder to lean, patient, informative, tough, and compassionate. We were so blessed God directed us to her. With Jeana you can always be confident! Attorney Blackwell has been handling my family law issues for a few years because of several complex matters. Claudia is not only professional and knowledgeable, she provides a human connection that gives her clients reassurance during emotional and stressful times. I have and will continue to recommend Attorney Blackwell to those seeking a family law professional.